Do you want to meet all those who put the interest of future generations at the heart of their action and become a Positive Economy actor yourself? Take part in the 3rd edition of the LH FORUM / Positive Economy Forum in Le Havre from 24 to 26 September 2014! 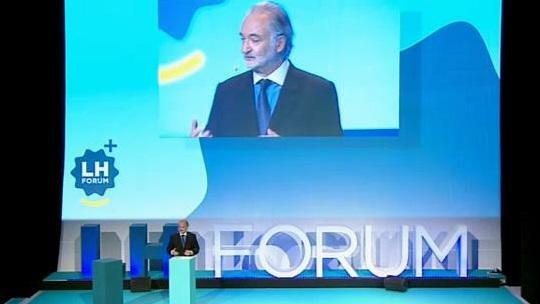 The LH FORUM will gather this year more than 450 social entrepreneurs, NGO and business leaders, politicians, academics and even artists will share with you their personal story and their commitment to Positive Economy during conferences, debates and professional workshops. They will be present in Le Havre : Jacques Attali, President of the PlaNet Finance Group and of the Positive Economy Forum, Ellen MacArthur, Director of the Ellen MacArthur Foundation, Pierre Rabhi, Philosopher, pioneer of agri-ecology & Founder of the Mouvement Colibri, Hubert Reeves, Astrophysicist & Founder of theassociation Humanité et Biodiversité, Frédéric Mazzella, CEO of BlaBlaCar, Alain Juppé, Mayor of Bordeaux, Tri Mumpuni, Founder of IBEKA, Gunter Pauli, Inventor of the blue economy, Dominic Barton, Managing Director of McKinsey, Letizia Moratti, Co-founder of the San Patrignano Foundation, Juan Ignacio Vidarte, Managing Director of the Guggenheim Museum of Bilbao, Alaa Al Aswani, Writer of the Egyptian revolution, Matthew Bishop, Business Editor in Chief of The Economist, Guilhem Chéron, Founder of La ruche qui dit oui, Navi Radjou, Author of "Jugaad Innovation". The positive economy is an economy that aims at serving future generations by fostering a sustainable and inclusive growth that would be respectful both of the environment and of the people. The positive economy is at the heart of tomorrow’s economy; it is at once what is currently growing up beneath the surface of the planetary society and at the same time the core of the answer to the greatest crisis we are currently facing and we will have to face.